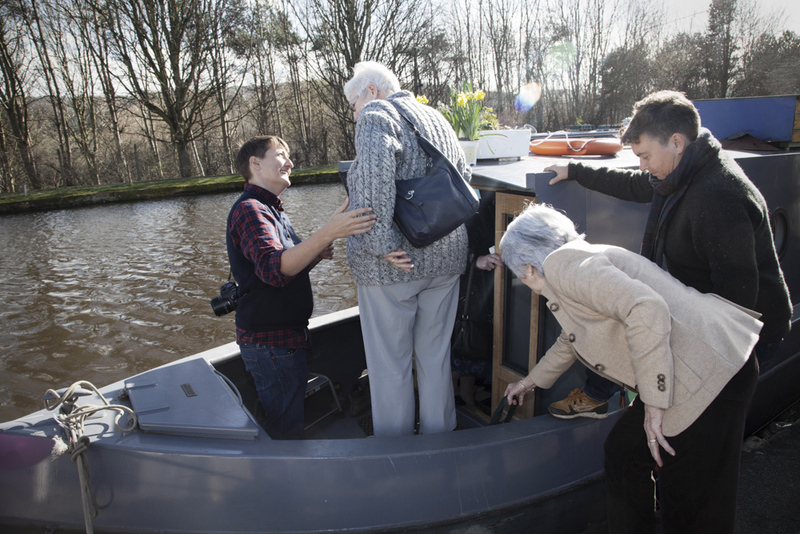 Today’s the launch of the West Yorkshire leg of Idle Women’s On The Water project. 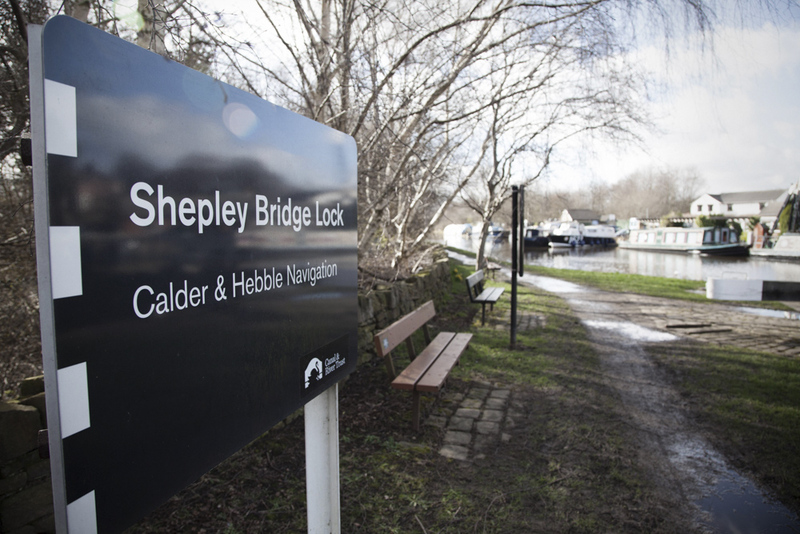 The Shepley Bridge Marina near Mirfield will host a new canal boat for the next six months or so. 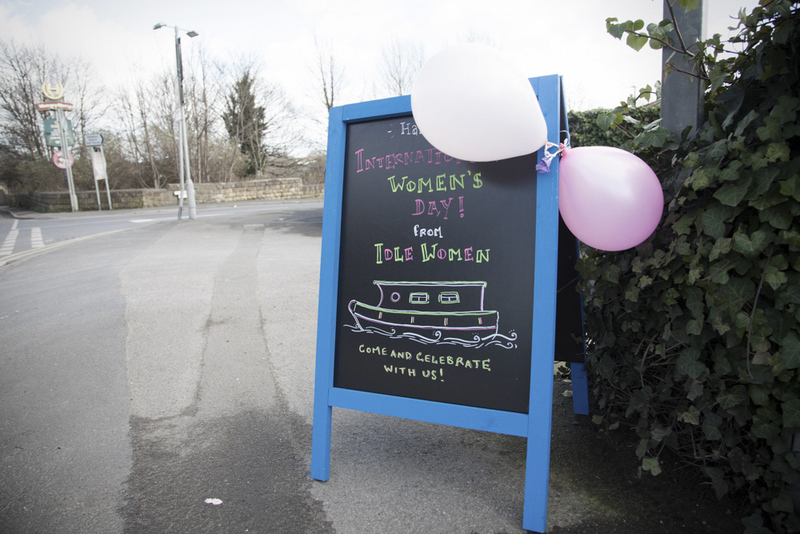 “I read that last year, on International Women’s Day, you launched the project in Burnley,” I say to Cis O’Boyle, co-project founder and ‘caretaker’ of the ‘Selina Cooper’. Cis and fellow project founder Rachel Anderson worked together on large-scale art projects in London before setting up Idle Women in 2015. “Where did the idea of building a boat to run creative projects by and for woman come from?” I ask. Idle Women relates to the name given to the women who worked on the waterways during the Second World War. The Selina Cooper, designed and built by women, is named after a Lancastrian suffragette, the first woman to represent the Independent Labour Party in 1901. And it was in the shadow of Burnley’s textile mills where the anything-but-idle project began last year. I take a shot or two from the stern. “And there’s accommodation as well?” I ask, peering into the cabin. I jump back on land as half a dozen smartly-dressed older women are helped onboard. “We’ve just had lunch at the golf club and thought we’d have a look,” says one. “We saw it on Facebook,” says another, by way of explanation. As they pour in, others come out, including Ashleigh Beattie, a local artist and supporter of Creative Scene who I haven’t seen for a while. “Fifteen months and very active,” she says. Ashleigh moved to Dewsbury a few years ago and, as a visual artist, she quickly tapped into the local arts scene, always keen to get involved with new initiatives. “Are you thinking of applying for one of the little residences?” I ask. Before I leave I chat to Stella who will be staying on the Selina Cooper for the next three months. She’s just come to the end of a twelve year stint as Director of Participation at London’s Ovalhouse. A canal barge on the Calder and Hebble Navigation will be a big change. I ask her what’s she got planned. “I used to be anxious about having a plan but, over time, and having interrogated the ethics of participatory work, I’ve abandoned planning,” she says, frankly. 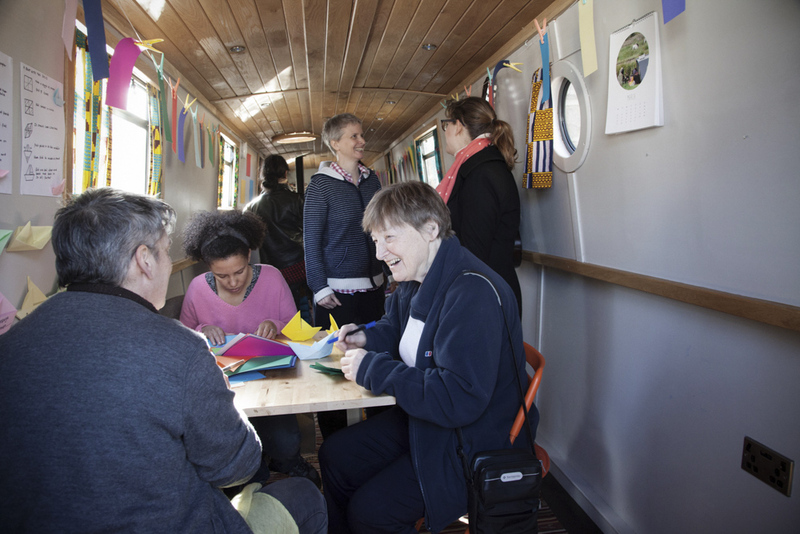 Visit the Idle Women website for details of forthcoming activities on the Selina Cooper.